The conductor and cellist Antonio Janigro, who spent more than two decades as an orchestra leader in Zagreb, Yugoslavia, was born on this day in 1918 in Milan. 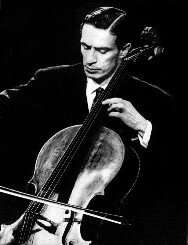 An accomplished cello soloist in Italy, his adventure in Yugoslavia happened by accident, in a way. He was on holiday there in 1939 when the Second World War began, leaving him stranded with no prospect of returning home. Happily, Zagreb Conservatory offered Janigro a job as professor of cello and chamber music. This turned out to be a providential turn of fate and he was to remain in Yugoslavia for much of his life. He founded the school of modern cello playing in Yugoslavia, formed the exemplary chamber orchestra I Solisti di Zagreb with Dragutin Hrdjok in 1954 and for 10 years led the Radio Zagreb symphony orchestra. Raised in a house on the Via Guido d’Arezzo in Milan, Janigro was born in a musical family, although his father’s dream of becoming a concert pianist had to be abandoned, sadly, when he lost his arm after being shot in the First World War. Janigro himself studied piano from the age of six, and then began playing the cello in 1926, when he was eight years old. In less than a year he had progressed enough to be admitted to the Milan Conservatory. 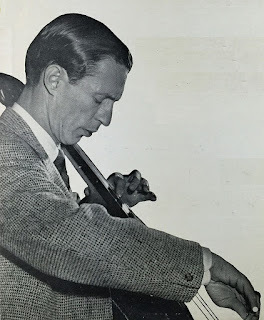 Janigro moved to Paris in 1934, when he was 16, coming into contact there with other great cellists and musicians, including the violinist Jacques Thibaud, the composers Paul Dukas and Igor Stravinsky and the conductor Nadia Boulanger. The pianist Dinu Lipatti and the violinst Genette Neveu were fellow students. He began a solo career immediately after graduating, playing in recitals with Lipatti and Paul Badura-Skoda, another gifted pianist. He often travelled between Milan and Paris on the railway, seeking out empty compartments in which to practice his cello. Janigro’s relocation to Yugoslavia may have been an accident, but he would remain there continuously until 1968. At the same time, he maintained his solo career, travelling as far away as South America and the Far East. In 1959, he was Hungarian conductor Fritz Reiner's soloist in a renowned Chicago Symphony Orchestra recording of Richard Strauss's Don Quixote. He returned to Milan after the break-up of I Solisti di Zagreb but then devoted himself increasingly to teaching, with positions at the Düsseldorf Conservatory, the Salzburg Mozarteum, and the Stuttgart Conservatory attracting students from all over the globe. Among his many students who would themselves excel were the Swiss cellist Thomas Demenga, the Brazilian Antonio Meneses and the Italian Mario Brunello, the latter two bringing him prestige by winning the International Tchaikovsky Competition. He died in 1989, having spent his final years in Zagreb. Janigro’s childhood home in Via Guido d’Arezzo in Milan is close to Parco Guido Vergani, also known as Parco Pallavicino, an area of reclaimed land that used to be occupied until the mid-1930s by railway sidings and the small Sempione Airport. The park, inaugurated in the sixties, covers an area of ​​approximately 88,000 square metres. The park is rich in tree varieties, a fountain and areas for games and dog walking. Like most of the green areas in Milan, it was named after famous personalities - in this case, the Milanese journalist and writer Guido Vergani. 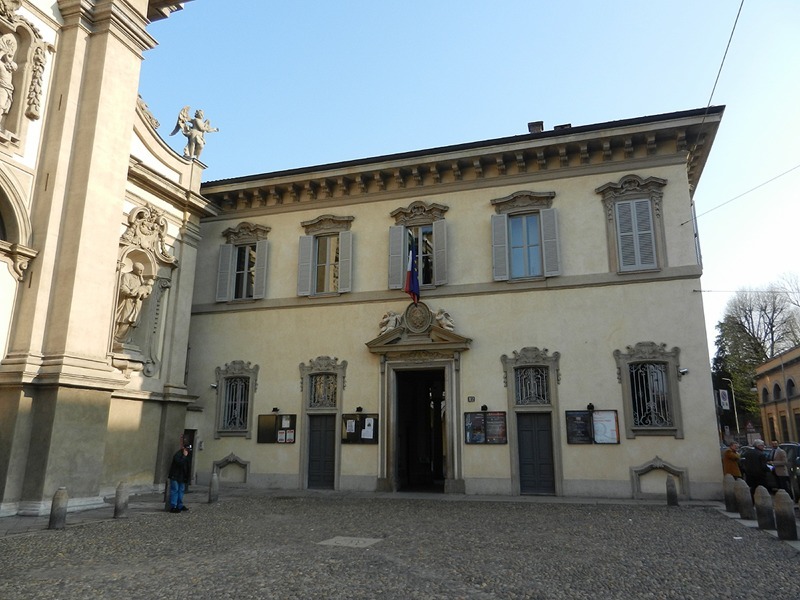 The Milan Conservatory - also known as Conservatorio di musica “Giuseppe Verdi” di Milano - was established by a royal decree of 1807 in Milan, capital of the Napoleonic Kingdom of Italy. It opened the following year with premises in the cloisters of the Baroque church of Santa Maria della Passione in Via Conservatorio. The largest institute of musical education in Italy, its alumni include Giacomo Puccini, Amilcare Ponchielli, Arrigo Boito, Pietro Mascagni, Riccardo Muti and Ludovico Einaudi.